Clovelly, on the North Devon Coast, held its annual Herring Festival on Sunday 18th November. 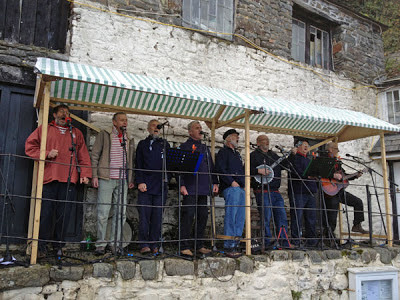 This event celebrates an era now long gone when there was a major herring fishery in the Bristol Channel and Irish Sea, and Clovelly was one of the major landing ports for the catch. 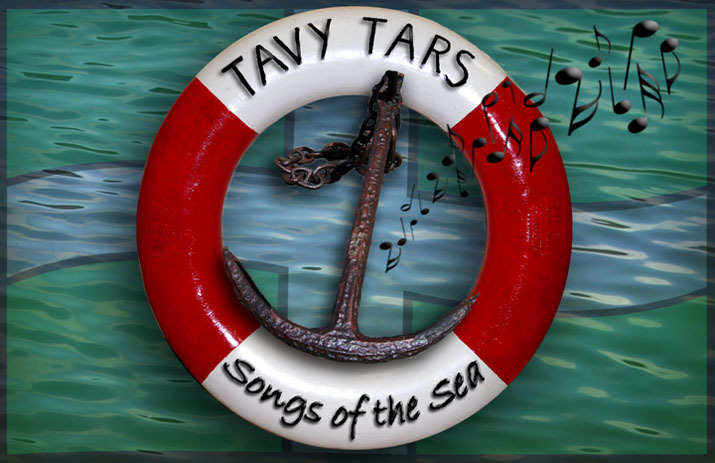 This year the Tars were invited to provide the music (together with Shake a Leg and Stamp and Go).This was a new event and venue for us, and a real treat, performing on the balcony of the Fisherman’s Loft which overlooks Clovelly’s lovely little harbour, in the sunshine. 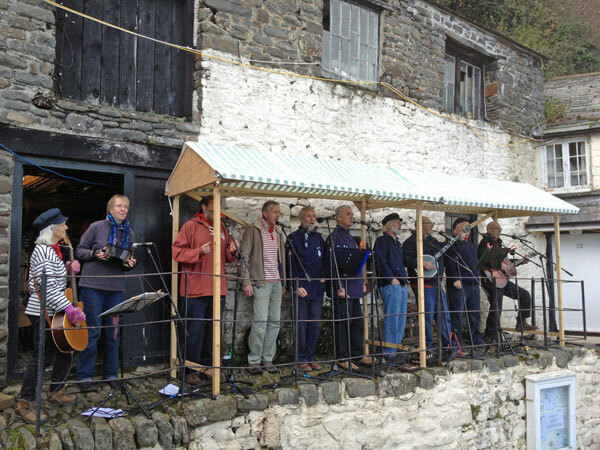 It goes without saying that our programme included a rendition of “Shoals of Herring”. And right next door to the Fisherman’s Loft is the Red Lion. Ideal for tired shanty singers needing to lubricate their vocal cords between sets. We hope to be invited back next year!